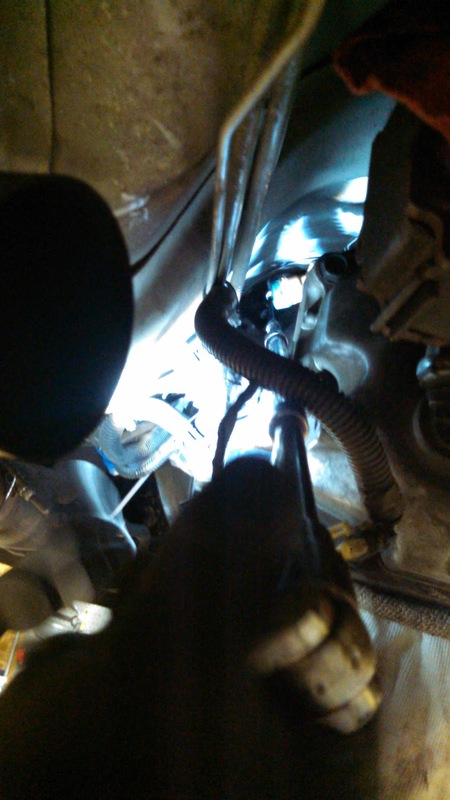 Thanks to Josh and Joe for helping me pull the trans. Hopefully picking it back up soon and will actually be able to shift it into 1st or 2nd! 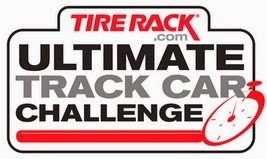 GRM Ultimate Track Car Challenge! 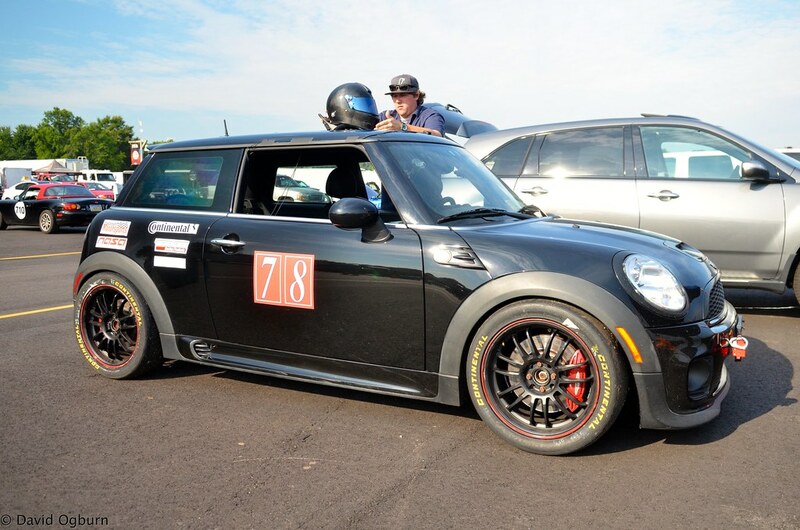 Last Friday, I drove in the Grassroots Motorsports' Ultimate Track Car Challenge in my Dad's daily driver and autocrosser, the 2009 Mini Cooper JCW. 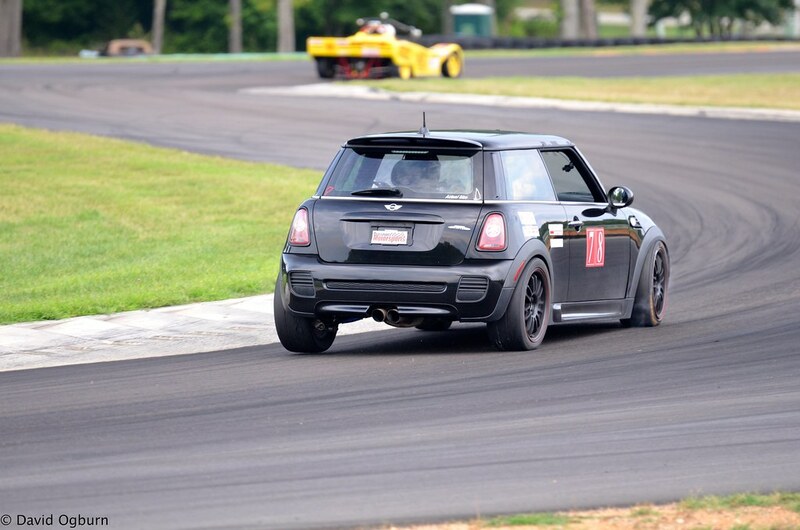 We were seriously outgunned by some high-dollar racing cars but it was still fun track time. 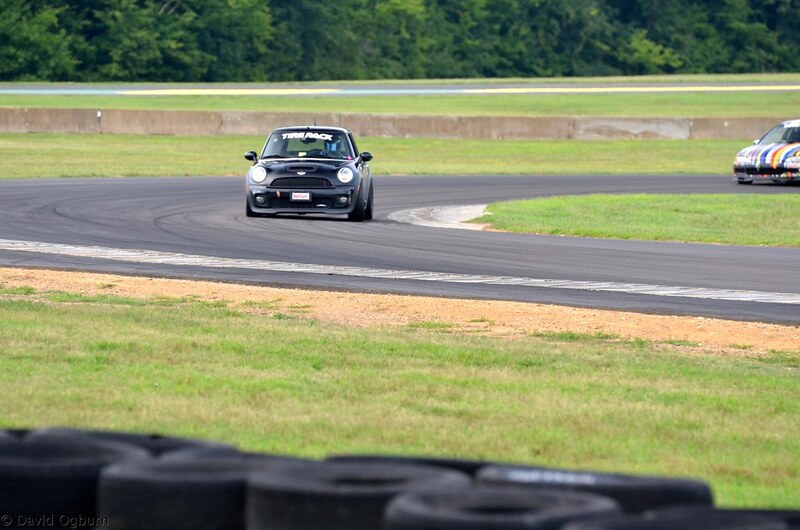 After some tire fitment issues in the morning sessions, I was able to get down to a 2:18.8 on the VIR Full Course in the 3rd and final timed session which put me in 38th place overall. 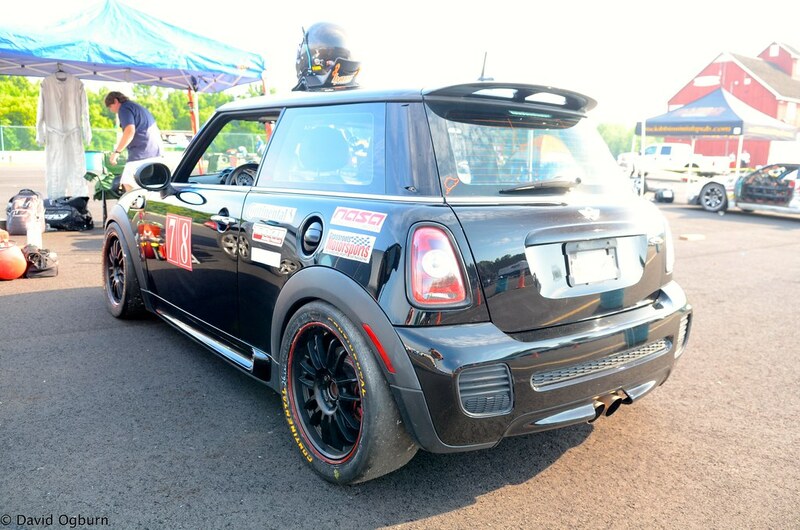 This is the first time we have run race tires on the Mini and it was a learning experience. The balance was off (too tight) but it was decent enough out of the box to set a lap time. Definitely needs some tuning though. It's definitely the hardest I've worked to get beat by 30 seconds on a single lap! This event was less about competition and more about getting to race for a day as a family, which was great. 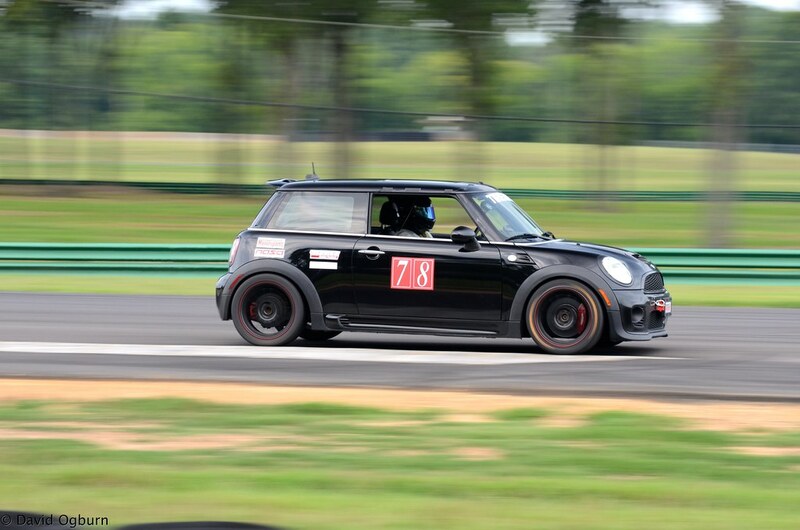 Thanks to my Mom coming to the track to hang out, my Dad for lending the Mini, and Rich Schollmann and Sam Nixon for making the trek to VIR and helping sort the issues we had early! 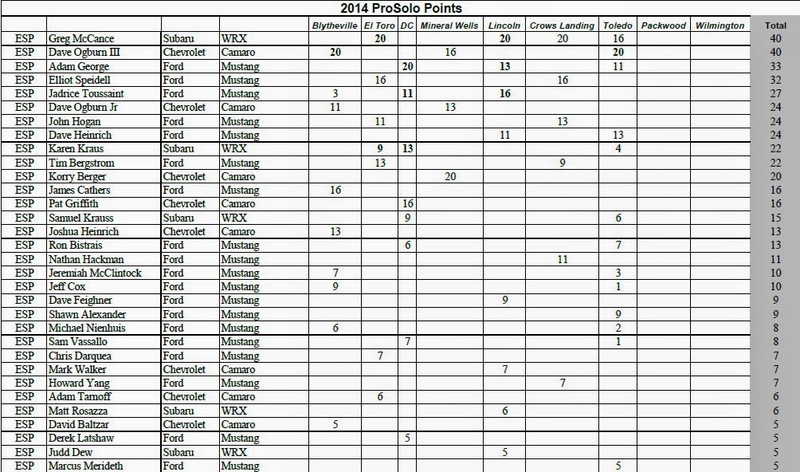 I'm guaranteed a tie for first with max points going into the ProSolo Finale after the win at Toledo and Dad is sitting in 6th with 24 points. The ESP Camaro is set for a battle in Lincoln. Toledo ProSolo in the ESP GT500! 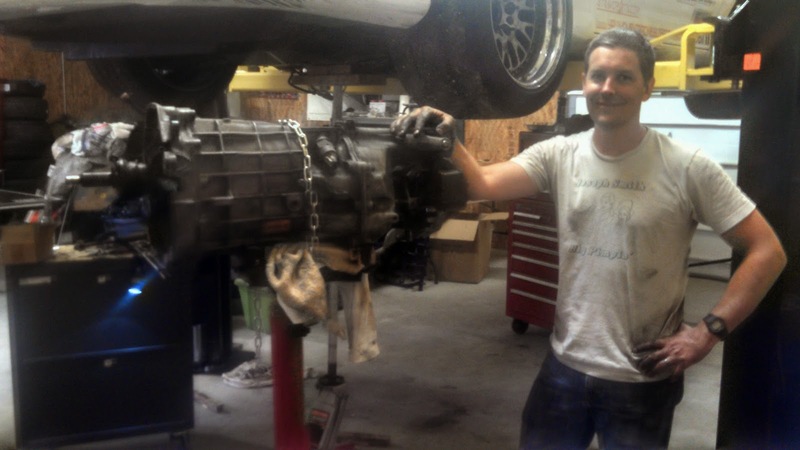 With a business trip putting me in Ohio in late June, I was able to run the Toledo ProSolo for the first time this year thanks to Jeff Cox and his high horsepower Mustang GT500. Thanks Jeff....it was fun man! We had 16 drivers in class sporting mainly V8 muscle car variants except for reigning ESP Champion Greg McCance and his Subaru WRX. We lucked out with three dry heats despite being threatened by rain all weekend. I arrived at the track Friday night just in time to run practice starts in the new-to-me equipment which proved very helpful over the weekend as I was cutting 0.500 - 0.650 lights all weekend....better than I do in my freakin' Camaro! 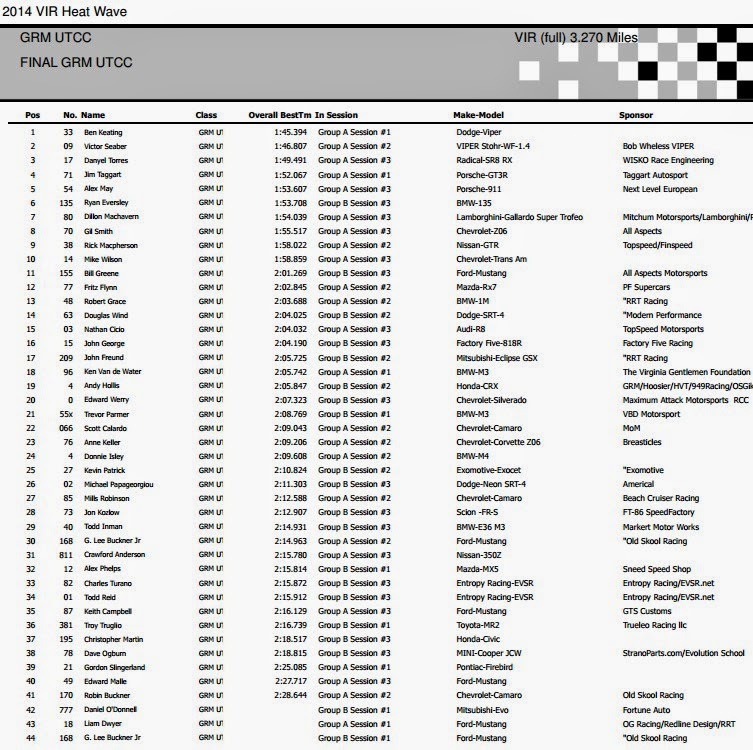 I finished P2 after the first heat about 1s behind McCance who clearly had the strongest pace all weekend. 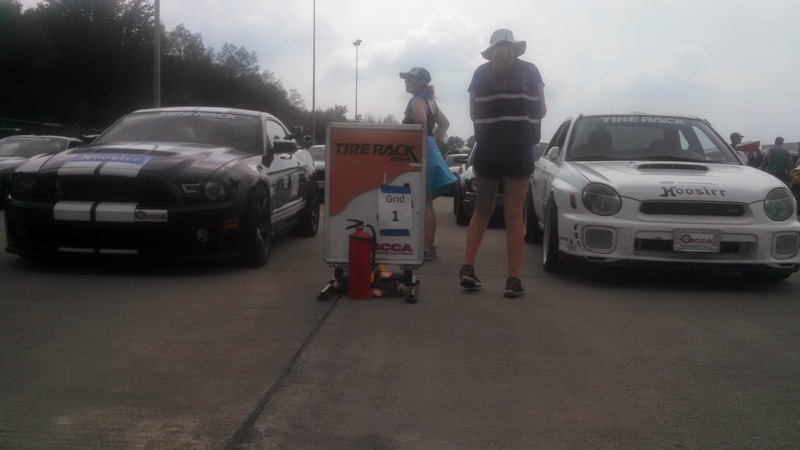 Car issues put Greg out of the 2nd heat but he was able to hang onto 1st place in class. I picked up pace in the GT500 but a few others improved even more dropping me back to 4th place. This setup a show down on Sunday morning as we had good conditions and a surface that normally picks up grip throughout a ProSolo weekend. Unfortunately, Greg had to drop out after his 2nd run with further drivetrain issues leaving the door wide-open for one of the Mustangs to take the top spot. With a half-second gain on my first left-side rum, I moved into 1st place and came away with a very surprising 0.111s victory Bitter sweet due to competitor car issues, but a win nonetheless meaning two Hoosiers for my man Jeff Cox and two ESP class wins heading into the ProSolo Finale! Onto the Super Challenge where the field was incredibly tight - I think the qualifying delta was around 0.2s! I had my best Challenge to date marching to the Final Four as I got even more comfortable with the heavy, high horsepower muscle. I came up against Jason Frank in the Final Four round and scored a come-from-behind victory by 0.2s.....except for hitting the last cone on the course which bounced me out of the Finals! I tagged another cone in the 3rd-place round to put me in 4th overall. 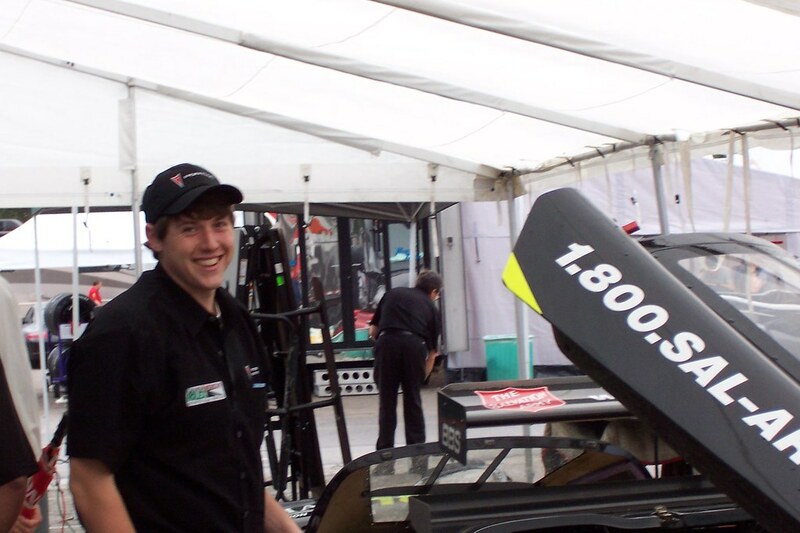 Once again, Greg McCance drove his E-Street Prepared 2002 Subaru WRX over half way across the country to compete. 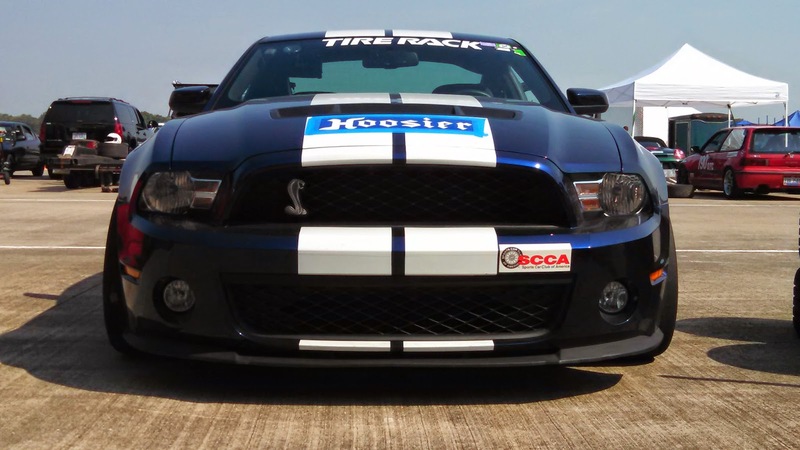 He held the lead in ESP after Saturday morning over Dave Ogburn III, who was co-driving Jeff Cox’s 2010 Ford Mustang GT500 on Hoosier Tires. Greg suffered a broken hub during the Saturday afternoon session, but still managed to hold onto the lead as Dave continued to work on the handling of the Mustang. McCance was able to get the car ready for the Sunday session, but suffered a broken differential on his first run of the day. Dave Ogburn III dialed in the car and was able to laid down times to win ESP by 0.111 seconds, Dave Heinrich finished third only 0.031 behind McCance. All of the close class battles meant a low margin to get into the Super Challenge; you needed to be within 0.263 seconds of the class winner to qualify. There were lots of very close battles and very few red lights throughout the challenge rounds. The final four drivers in the Super Challenge featured Dave Ogburn III from ESP versus Jason Frank from STS, and Chris Harvey from CS versus John Vitamvas from SPB. In the first matchup, Jason Frank held a lead after first runs, but Dave Ogburn III laid down a smoking fast run beat Frank back with enough time; however, a cone awarded the win to Frank. Chris Harvey was able to defeat John Vitamvas to move into the finals. The final round didn’t disappoint, Jason Frank held a 0.124 second lead after the first run, they switched sides and Chris Harvey was first back on the second run, but not enough to make up the margin; Jason Frank took the Super Challenge win by 0.055 seconds. Here's the quick summary: Monaco is awesome and you should go GP weekend or any other weekend if you can.